"Fluenz Mandarin 1+2 was designed by a small team with a clear mission: create a language program that would get people speaking Chinese as quickly as possible. Having tried other software programs and studied Mandarin in China, we designed and built the software we would have loved to have when we started learning. At the center of Fluenz Mandarin is a real life instructor, Sonia Gil, who went to China to learn Mandarin herself and whose more than 125 video clips are embedded throughout the program. What we learned is that replicating the experience of one-on-one coaching in English, every step of the way can make all the difference when you try to learn a language. As with anything, knowing what’s going on and where you’re going helps you follow any program." 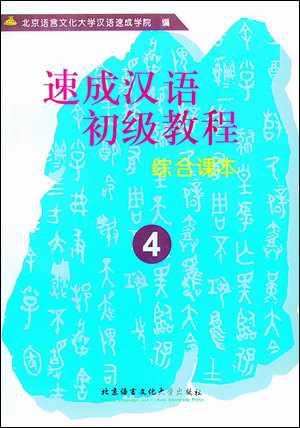 This book includes fifty most widely used Chinese sentence patterns, and is specially designed for intermediate learners of Chinese as a foreign language. Each chapter is divided into three parts: sentence examples with Pinyin and English translation, vocabulary, structural analysis and patterns. An exercise is provided after every four chapters to help learners master the points under discussion. Exploring in Chinese is an intermediate-level multimedia Chinese program consisting of a student text and accompanying DVD that uses unscripted dialogues as the basis for students to make the transition from the basic skills acquired at the elementary level to the more complex comprehension skills required at the intermediate level. 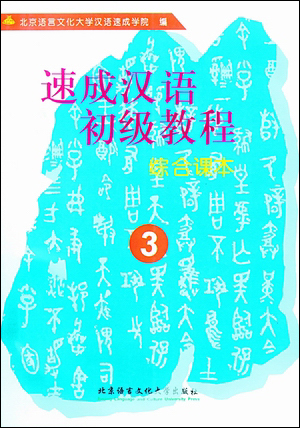 This two-volume set spans the third and fourth semesters of study, following the first two semesters covered in the elementary program, Communicating in Chinese, also by Cynthia Ning. Pocket-size guide to more than 2,000 essential phrases in Mandarin Chinese, divided into themed sections. Includes food, drink, and lodging; tips for train and automobile travel; and instructions and phrases for emergencies. Includes a pronunciation table that explains the phonetic pronunciation. This set of textbooks uses topics as its focus, grammar and function as its hidden plot and comprehensive exercises as its main plot. After one semester’s reinforcement learning program, learners can reach the basic level of Chinese language. The texts involve the scene of life, study and communication, which are useful and interesting. The introduction of Chinese society, national condition and culture helps students learn more about Chinese society while studying Chinese language. 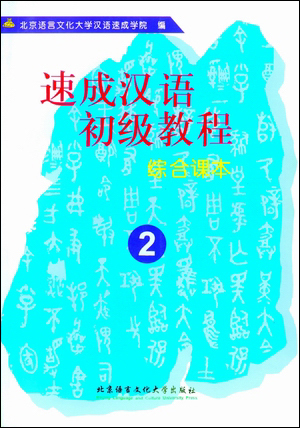 The book includes a total of 80 lessons, each of which consists of no more than 500 Chinese characters. There is over 3,400 new words altogether. It selects and summarizes over 100 common functional items that learners need most. The accompanying 5 tapes are sold independently.